The popular Servers View has been overhauled. It’s both more modern looking and more powerful than the old version. Filter what you see by host, app or app type. Filters are automatically combined in logical ANDs and ORs for you. Group by tags and various attributes, like host, app, app type. You can group by multiple groups at once, too. The expandable rows show aggregated metrics summaries and details for each list item. Expand each group and peek inside it for details. Display your entire infrastructure as a heatmap. Heatmaps are great for observing lots of servers at once while at the same making it easy to quickly spot the hottest pieces of your infrastructure. 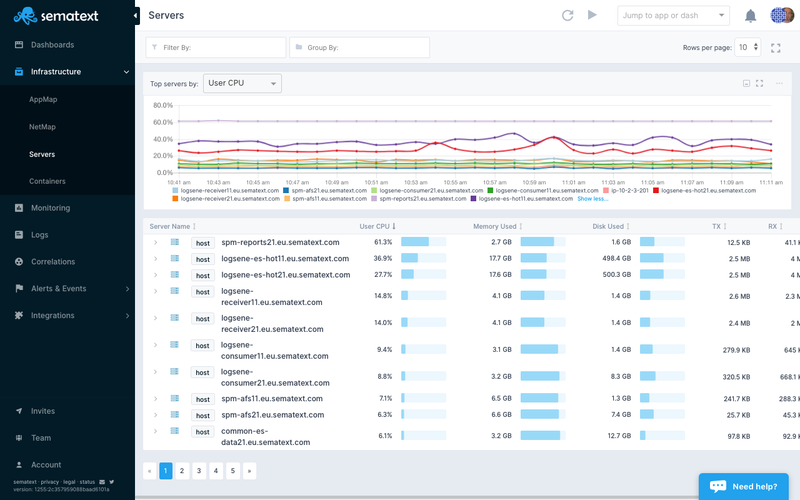 See the Top N servers sorted by any of the available infrastructure metrics to quickly see which infrastructure needs your attention. 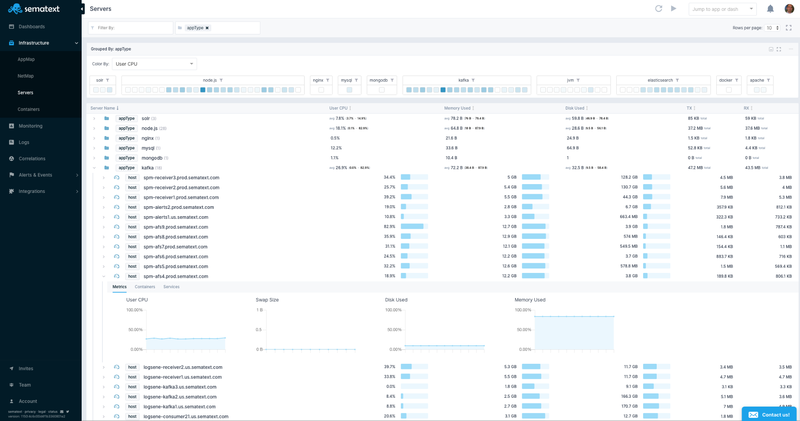 If you run containers, the new Containers View provides similarly detailed insight into containers performance monitoring. 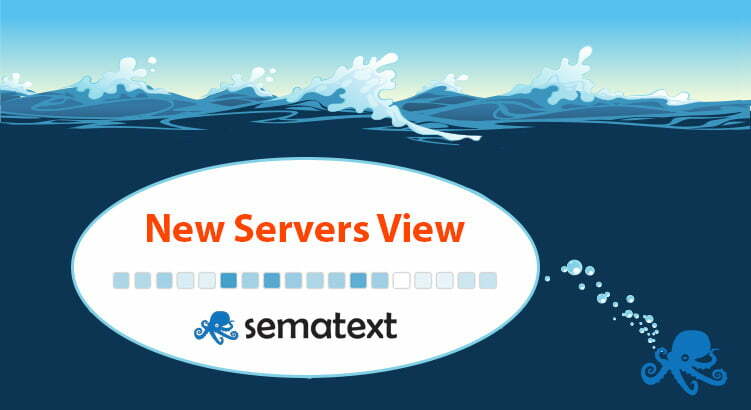 You can read more about new container view Also, check out new Sematext Cloud features on our product updates page.